*The Dial brand provided me with a sample of Dial Vitamin Boost Body Wash in exchange for a product review. However, all the opinions expressed here are my own. 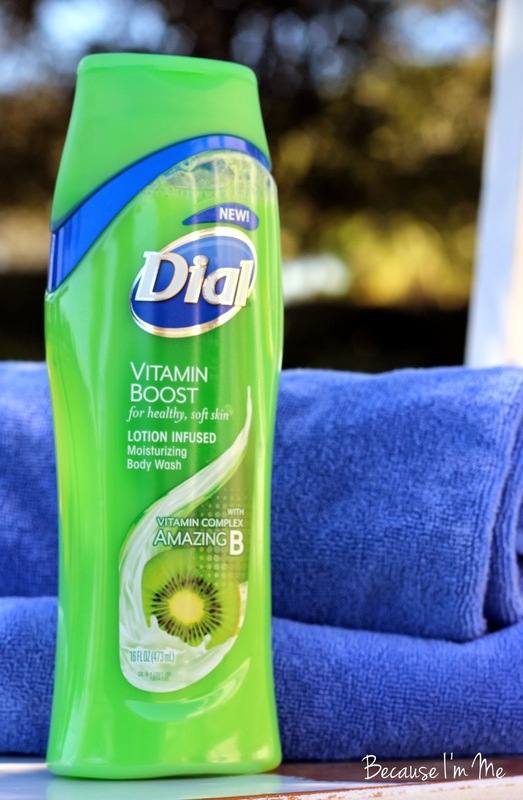 I was recently asked to try Dial Vitamin Boost Amazing B Lotion Infused Body Wash. I'm in love. It smells great, without being the least bit perfumish - more of a nice, gentle subtle Kiwi smell. It feels great going on and only a very small amount is needed (one bottle will go a long way). The body wash is lotion infused and the Vitamin B helps draw in hydrating moisture, leaving my skin feeling healthy, soft, and smooth. One evening I added a tablespoon or so to running water in the bath. It smelled good and made the best big, plentiful bubbles that lasted throughout my relaxing bath (I love a bubble bath where all the yummy bubbles linger while I lounge). Decadence. Two varieties of the Vitamin Boost Body Wash are available; either the Amazing B Lotion Infused Kiwi that I tried or Super C Oil Infused Orange. Like the Purex and Dial Facebook page to stay up-to-date on new product offerings and, of course, like the Because I'm Me Facebook page. Now, thanks to Dial and Purex I am able to give away (1) coupons to a wonderful reader for a free bottle of the Vitamin Boost. Enter through the Rafflecopter below. The giveaway will remain open for a week, ending late at night on February 17th. Good luck! I love body wash best but I do use bar occasionally.